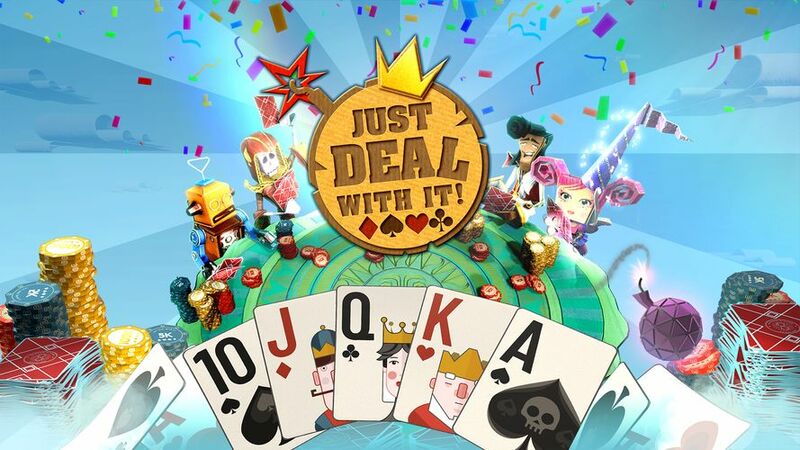 Just Deal With It!™ on PS4™ with PlayLink™ delivers a whole new twist on five classic card games. Play Poker, Blackjack, Crazy Eights, Rummy and Hearts locally or on-line. Team up with friends and family, launch attacks, sabotage the competition, and go all in for the win, in this joyous card game party! Step 1 / 3 - Please enter your e-mail address to request one or more press copies of Just Deal With It! and press the next button to continue.